We are now your headquarters for Devacurl Certified Cut Professionals! Consultations are always complimentary so feel free to make an appointment today! 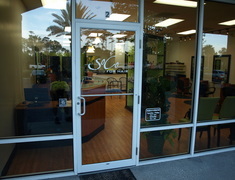 Experience the difference at SoCo For Hair. Finally, a hip salon at the beach that can meet all of your hair needs. Our staff consists of the most highly trained professionals in the industry, from California to New York. When you come to SoCo For Hair you’re in good hands. We are proud to support the advanced education of our specialized staff. By attending seminars, workshops, and conferences on a regular basis we are able to offer our guests the most current trends, along with superior skill sets, dedication, and professionalism. Trends and technology change with the seasons, and our team strives to keep ahead of the curve in order to provide the best the beauty industry has to offer. Extensive consultations are included with every service. Here, the stylists share ideas and perform pretty spectacular makeovers. Cutting, coloring and styling are at the heart of what we do. We are dedicated to meeting our guests’ beauty needs with the highest level of customer service, and believe that our guests are our utmost priority. All appointments are enhanced with a relaxing scalp massage and hot towel treatment, and followed with a complimentary make-up touch up. There is none better to create your signature look than the team at SoCo For Hair. We invite you to experience the best in haircutting, coloring and makeup services in an upscale yet unpretentious atmosphere. Call 273-8801 for reservations and details.